The LG G Pad 8.3 Google Play Edition is now officially the first GPE tablet. It’ll be available starting today on Google Play for $349. We became aware of the G Pad 8.3 as a GPE device this morning thanks to LG’s open source page, so the only surprise here is the timing of the announcement along with other new devices (white Nexus 7 and Z Ultra GPE). As a reminder, the G Pad 8.3 is a lot like a blown up version of the LG G2, though it has a slightly older and less powerful Snapdragon 600 processor. But you are still looking at a 8.3-inch full HD display (1920×1200, 273ppi) with minimal bezel, on-screen buttons, 16GB internal storage, microSD slot, 2GB RAM, 5MP rear camera, 4600mAh battery, and a body that is only 8.3mm thick. 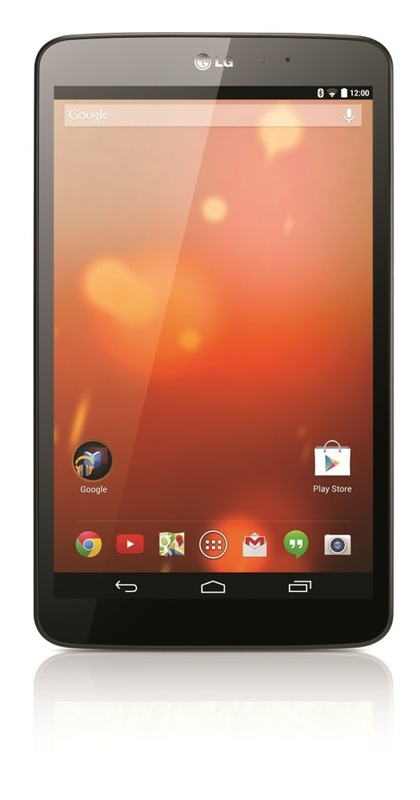 The G Pad 8.3 GPE also runs stock Android 4.4 (Kit Kat) and will receive timely updates just like other GPE units.